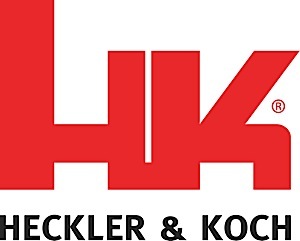 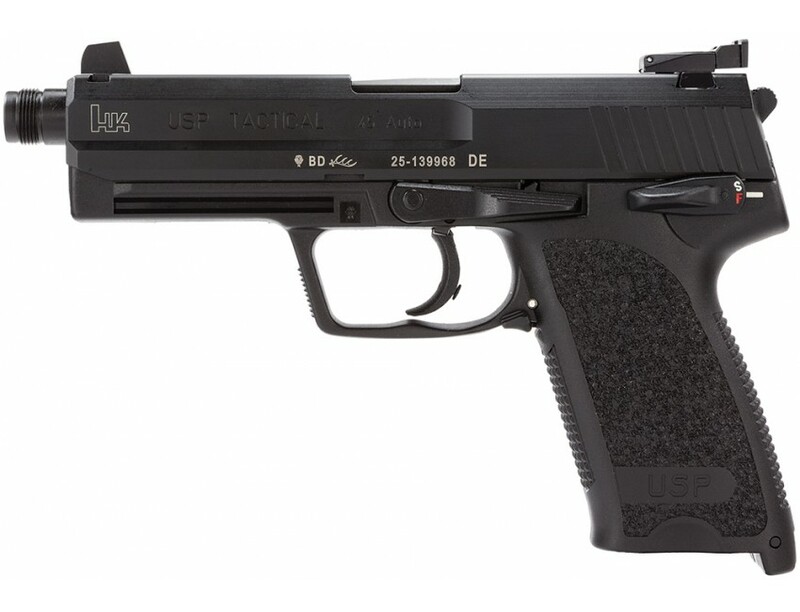 Enhanced versions of the USP, the USP Tactical model is designed for users who need the features found on the HK Mark 23, but in a more compact and lighter weight pistol. 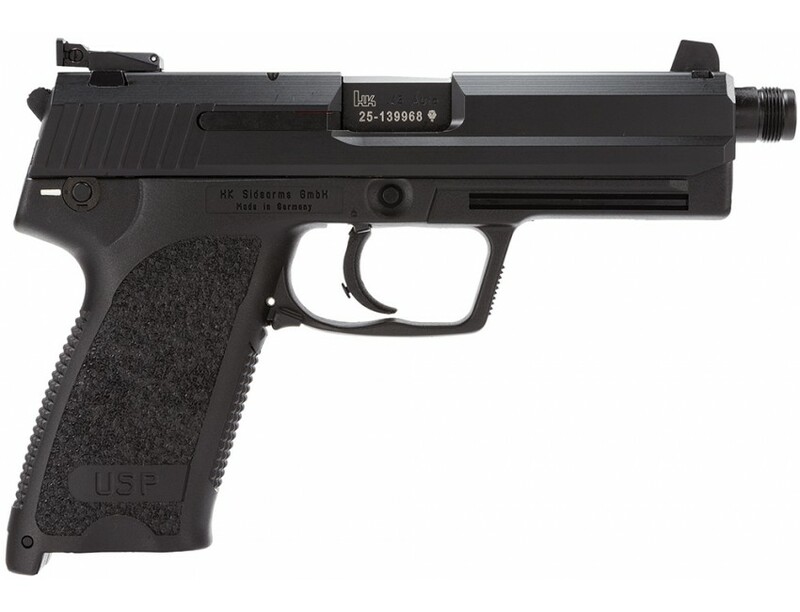 It utilizes an extended threaded barrel with a rubber O-ring and polygonal bore and adjustable match grade trigger. 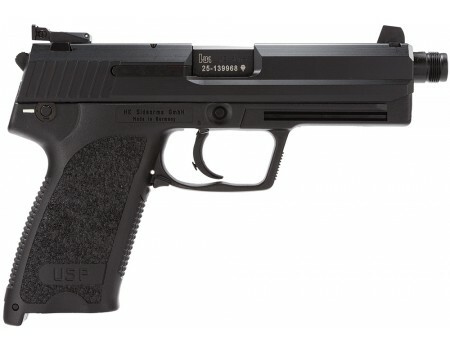 The USP Tactical also features an one-piece machined steel slide, polymer frame with mounting grooves, ambidextrous magazine release lever, and patented Lock-Out safety device.This V1 45 ACP model has a black frame with blued slide, adjustable target sights, and comes with two 12-round magazines.